For now we will call him DJ Mjojo because that’s all we know this guy has no time for introductions from track one all he wants is for you to grab a six pack and ice, sit on the porch and watch time flies by. I felt that he is an avid house listener because I can hear the influence of Dj Mbuso in his deep African sound and by that I mean he doesn’t sound like Black Coffee. There is a clear difference between people who listen to other guys and copy their style to make hits and those guys who live in the studio. I think Mjojo might just group with the later. His kicks don’t bend and his timing is on point. 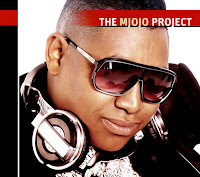 It is really a shame because his album the Mjojo project is one of those albums where you don’t expect to find a hit simply because of the name. I now have Umjojo to say I like this DJ’s work. 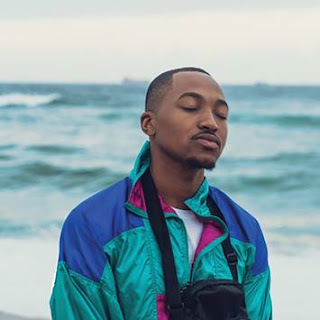 It’s actually the vocals that get me thinking that he has a way of making a 70% beat with an 80% vocal that just comes together to make decent African house music. If only Umjojo would catch a good marketing scheme maybe a mask or a big belly. I like to think that I am a good listener I pay attention to the whole song and I give individual attention to the lead and the rhythm afterwards. This Mjojo project has to be the best average album ever. I can see the deep house lovers picking two tracks from the lot. The Skhotanes will dance to Vuma on their way to purchase new colorful clothes. The guy who listens to whatever sounds good will never hear this album because there is nothing exotic about it, well, he just gave us the goods. He is the crack dealer of house and I might come back for another fix. I am sitting here typing with Vuma on my ears so excuse me guys the truth is my vice and it won’t let go Umjojo gets 10 out of 15 simply because he raised the Bar. After track ten you opened up to us and let your soul out. South Africa give this man a chance he has something we all are missing (groove) not just a loud mouth and a good publicist.